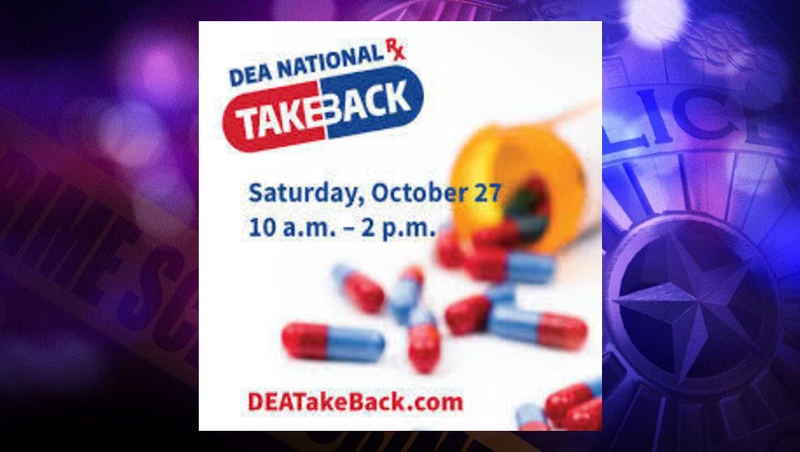 DUBOIS COUNTY -- On Saturday, October 27th, 2018 the Drug Enforcement Administration (DEA) is sponsoring the 16th nationwide “Prescription Drug Take Back” initiative. The “Take Back” initiative seeks to prevent prescription drug abuse and theft through proper disposal of prescription drugs. Collection sites will be set up nationwide for expired, unused, and unwanted prescription drugs which will be properly disposed of without threat to the environment. This program is for liquid and pill medications. Needles, new or used, will not be accepted for disposal. This service is free and anonymous with no questions asked. - St. Anthony Fire Station, located at 4068 E 450 S, and Holland Fire Station, located at 504 Main Street, will host from 10:00 a.m. to 12:00 p.m.
- Huntingburg and Jasper Police Departments have a 24/7 medication drop box in their lobbies available for any Dubois County resident at any time. Contact those two departments individually for any restrictions they may have. Once again, the Indiana State Police are pleased to partner with the DEA, and as in the past, the drugs may be dropped off at any Indiana State Police Post, except the Toll Road Post. The event will be on Saturday, October 27th, between the hours of 10:00 a.m. and 2:00 p.m.
Also, the Indiana State Police will host a drop off site on Friday, October 26th, from 11:00 a.m. to 1:00 p.m. inside the Indiana Government Center North public entrance off of Robert Orr Plaza in Indianapolis. This is between the government north and south buildings, immediately west of the State Capitol building. To locate the state police post closest to your home or business, click this link for Indiana State Police on the Map. To find other locations in Indiana or across the U.S. that are participating in the Drug Take Back initiative, click this link to the DEA. The Drug Take Back events are the safe, popular and responsible way for the public to legally and dispose of prescription drugs. No questions asked.